Editor's Note: An earlier version of this op-ed appeared in Capitol Weekly on September 23. Political pundits are saying Governor Brown, Senate President Pro Tem Kevin De Leon and Senator Fran Pavley suffered a major political defeat when SB 32 was pulled back and the fuel reduction provisions of SB 350 were removed. We don’t see it that way. This was one skirmish in a long-term battle to balance our environmental, social and economic goals. There is now time to step back from trading ideological barbs and have a fact-based conversation with Californians. In a recently released PPIC survey, Californians said it’s very important (61 percent) or somewhat important (25 percent) for the state to pass regulations and spend money now to prepare for the future effects of global warming. But in a subsequent poll by the California Business Roundtable, support dropped significantly when voters were confronted with the costs to themselves. If we are to reconcile those sentiments–and secure both popular and legislative support for environmental measures–we need to help Californians understand how we are going to make the regulations work. 1. What are the anticipated social and economic impacts of passing these environmental laws? How would the laws affect costs of living for California residents in different regions of the state? How would they impact costs of energy, fuel and housing? How would they affect the poor? How would they affect seniors living on fixed incomes? How would they affect the creation of middle-class jobs? These are reasonable questions in a state that has seen a steady decline in its middle class and now has the dubious distinction of having the highest rate of poverty in the nation, with almost a quarter of all residents and 28 percent of seniors living in poverty. Candid assessments are a necessary first step to crafting policies to confidently ensure that these laws will create green jobs and make California a leader in clean energy and clean fuel technologies, and to address concerns that earlier environmental laws have depressed manufacturing jobs and failed to deliver the promised green jobs. The fact is that nine years after the passage of AB 32 little independent rigorous analysis has been made of its social and economic impacts. The Governor and the Legislature should commission a thorough assessment of how earlier environmental laws have affected the economy and social conditions, and identify what it would take for the next generation of climate change policies to be implemented in a way that results in a net increase in livable-wage employment opportunities. 2. Is there a reasonable roadmap to achieve the goals stated in the proposed laws? Californians are not bashful about setting stretch goals. It’s fair to say that technology is developing so quickly that attainment of the goals may be predicated on technologies that do not yet exist. But Californians are smart enough not to put straight-jackets on their future. The Governor and the Legislature can direct the California Air Resources Board to develop roadmaps for attainment of the proposed GHG goals, including prioritizing paths that produce the most GHG reduction for the lowest cost. If the roadmaps are dependent on technologies that do not yet exist, the laws must provide for appropriate off-ramps in the event the new technologies to attain the goals without undue social and economic costs do not materialize. 3. How can California exert its leadership to get others to follow? Greenhouse gases (GHG) do not recognize political borders. They are a global problem. California today contributes less than 1 percent of global GHG and about 50 percent less GHG per capita than the rest of the U.S. In 2013, the last year for which global data is available, China alone accounted for 60 percent of the increase in global GHG and contributed almost twice the CO2 as the U.S. (29 percent vs. 15 percent). 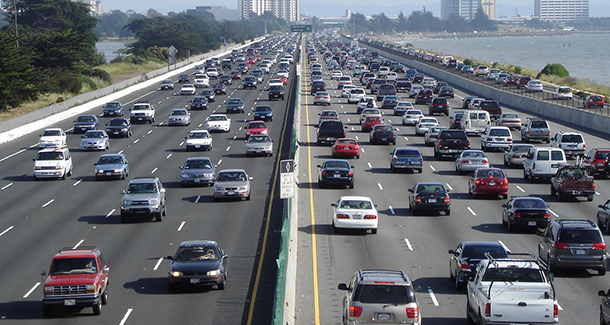 California cannot solve the GHG problems if others do not follow its lead. The question we should be asking ourselves is how do we get others to follow? Stepping out in front of the rest of the world is a California tradition. California is the 7th largest economy in the world. It has huge purchasing power. Strategies should be considered that capitalize on that purchasing power (not just our production scale) to get others to follow. Otherwise, we may show great success in reducing California’s carbon footprint, but with no discernible impact on net global GHG. Indeed, we could be pushing economic activity to states or countries with less rigorous standards, adversely affecting net global GHG. Those who are raising these questions should not be seen as environmental heretics. Californians want to be environmental leaders. They just want to be smart about it. Lenny Mendonca and Pete Weber are Co-Chairs of California Forward.